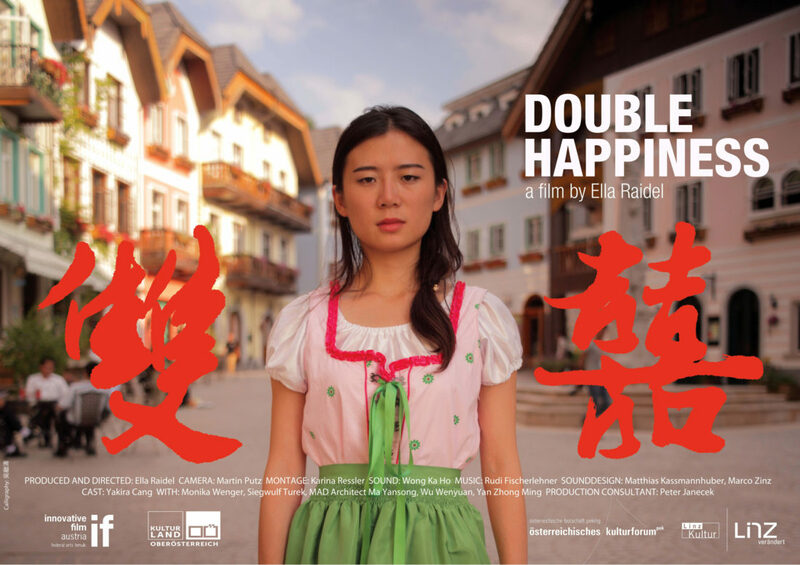 Among the Chinese double happiness refers to the happiness that’s increased twofold when a couple decides to spend the rest of their lives together. Ella Raidel chose this beautiful and optimistic concept as the title of her first full-length documentary. But, calling it a documentary possibly isn’t fitting, and it’s certainly not like the conventional kind of report on globalization. On the contrary, this is an extremely pointed film essay made with a great deal of sensitivity and a fine touch. Starting with the widely known but rather banal fact that “the Chinese” near the Special Economic Zone of Shenzhen have more or less rebuilt to scale the Upper-Austrian tourist attraction of Hallstatt, or at least parts of it, Raidel takes an extremely precise look at contemporary China which shows she’s completely unimpressed by the opposites characterizing the West’s current view of the country. This view leaves little latitude between breathless admiration for the economic powerhouse and trite criticism of the “political conditions”. Thanks to a few intelligent observations and with the aid of an excellent selection of interviewees, most of them from the fields of architecture and urban planning, the result is a panorama of a country at a delicate point in time in its political, social and economic development. Like every good film, this one poses more important questions than it answers — such as concerning the relationship between tradition, the modern age and the future; between the reality and late-capitalist dreams; and between essential progress and environmental protection. Double happiness would also be produced by a “wedding” of these aspects, some of which seem almost irreconcilable. Hot Docs Canadian International Documentary Filmfestival 2015.